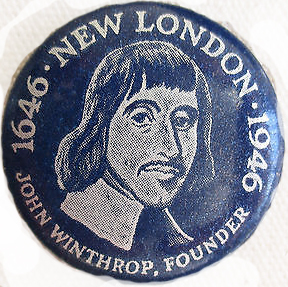 1646 - John Winthrop founds the first English settlement on the Thames River, in the Colony of Connecticut. 1715 - a lighthouse is built off Boston, the first in the north American colonies. 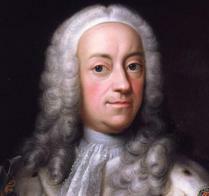 1759 - under King George II, land is purchased to establish a true lighthouse. Lighthouses, like forts, were considered part of the coastal defense system. 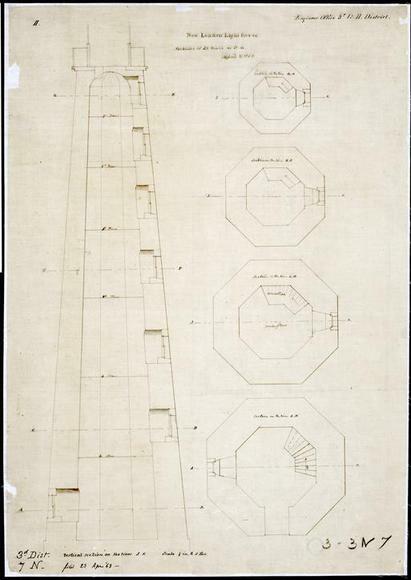 1761 - Harbor Lighthouse is constructed at a cost of £715, (roughly $285,000. 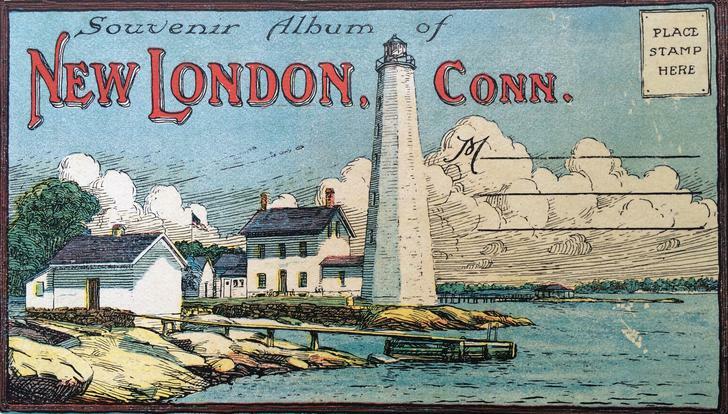 New London's lighthouse is first lit the night of November 7, 1761. 1789 The United States Lighthouse Establishment is created under the U..S. Treasury, and local administration of lighthouses is handled by U.S. Customs agents. Harbor Light becomes the fourth of the original 12 colonial lights that the young United States government manages under its newly established Lighthouse Board. .
1790 - Harbor lighthouse is ceded to the United States, according to the Memoranda of Cessions by Connecticut. 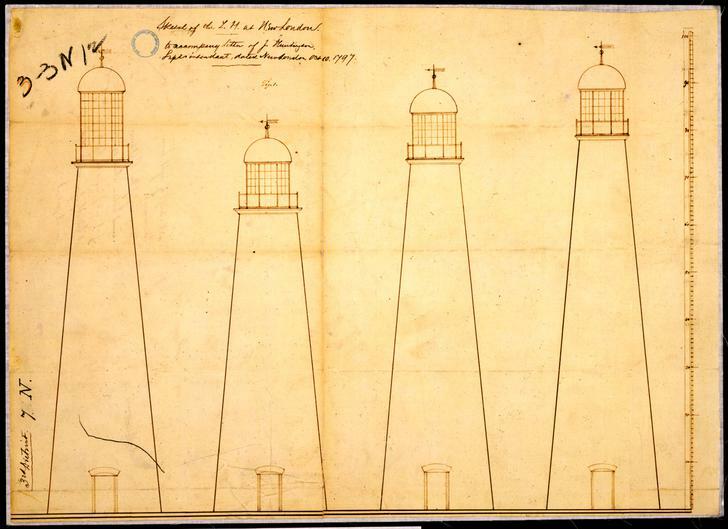 1791 - George Washington, himself, signs a contract authorizing the expenditure of $360 quarterly to supply New London Harbor Light's six lamps with spermaceti whale oil, with the Act for the Establishment and support of Lighthouse, Beacons, Buoys, and Public Piers. 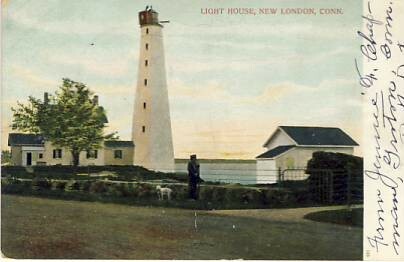 1800 - Congress appropriates $15,700 "for rebuilding, altering, and improving the lighthouse at New London, Conn."
1801 - Abisha Woodward of New London completes construction of the new (current) lighthouse. Originally left unpainted, the tower is whitewashed some time in the mid-19th century. 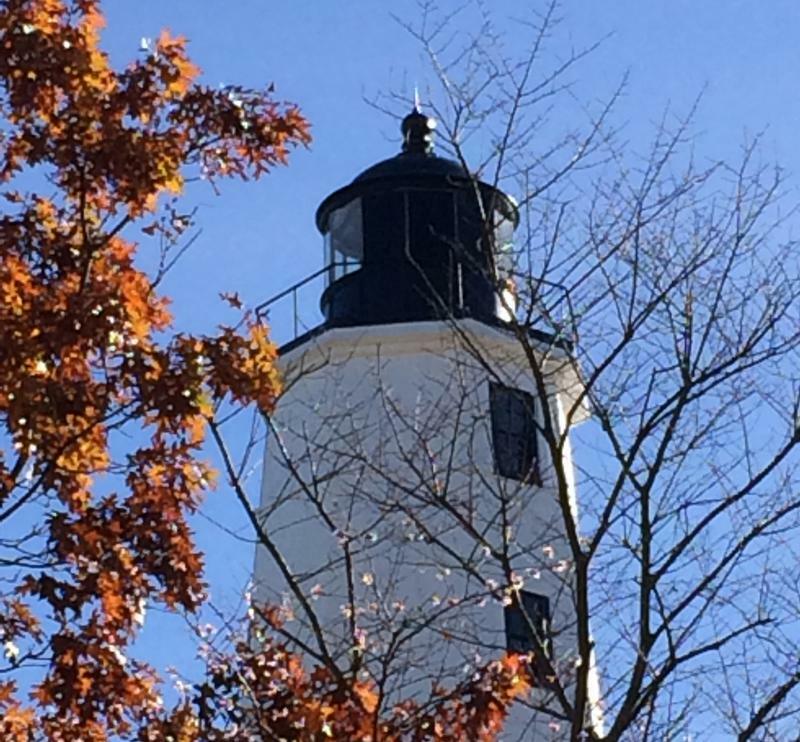 It is now the oldest and tallest lighthouse in Connecticut. Harbor Light is one of the earliest American lighthouses with a flashing light; a revolving eclipser made the light flash - 3 seconds on, three seconds off - so it couldn't be confused with the lights of nearby farms. 1812 - during the War of 1812, at the request of Commodore Decatur, New Londonerss put out the lighthouse lamp so that British ships can not use it to navigate the harbor. 1833 - NL lighthouse needs extensive repair. Charles H. Smith is contracted to furnish a new stone deck, lay on a brick arch, and supply a new lantern surrounded with two Iron rails, a new copper dome and vane, a new flight of wood stairs, and a new outer door and lock. This same year, NL's US Customs House, designed by Robt. Mills, is built. Near its height as a whaling port, over 30 ships and 900 men from New London were employed in whaling. 1838 - Lt. George M. Bache, U.S.N., reports on the light: It is of great importance as a leading light for vessels going in and out of the harbor of New London, which, on account of its security, is much resorted to during the heavy gales of winter. 1855 - a fourth-order Fresnel lens to illuminate 315 degrees is recommended. The lens is installed in 1857 and remains in use to this day. A 'red sector' warns boats of rocks near shore. 1863 - the tower's cast-iron circular stair and lantern are added at about this time.and new dwellings (the current house) for the lighthouse keepers are built. 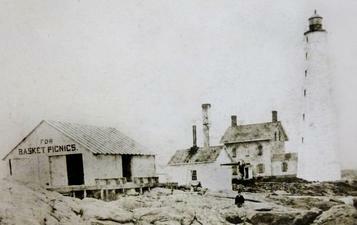 1868 - a road (Pequot Avenue) is opened by the city of New London across the lighthouse grounds. 1874 - a second-class fog signal with two 18-inch engines and a Daboll trumpet is installed. It was in operation 553 hours during 1875. Fresnel lenses are considered the ultimate expression of art, science, and technology. Tourists world-wide visit lighthouses to see the lenses and partake in the lantern views. 'Basket Picnics' are offered at Harbor Light. 1883 - a first-class Daboll fog trumpet is installed. 1896 - an improved fog signal consisting of two 3 1/2-horsepower Hornsby-Akroydoil engines, air compressors etc., is installed operating the first-class Daboll trumpet. 1902 - Development spreads out along Pequot Avenue. Trees are planted by the Olmsted firm as part of the site development for the Guthrie mansion (later Lighthouse Inn). 1903 - a fog-signal house is built in and 13-horse power oil engines, with trumpet, siren etc., installed the following year. 1910 - The U.S. Lighthouse Service is created to oversee American lighthouses. 1911 - the fog signal is discontinued at Harbor Light, when it is moved off shore to the new Ledge Light (first lit in 1909). keeper is no longer necessary. 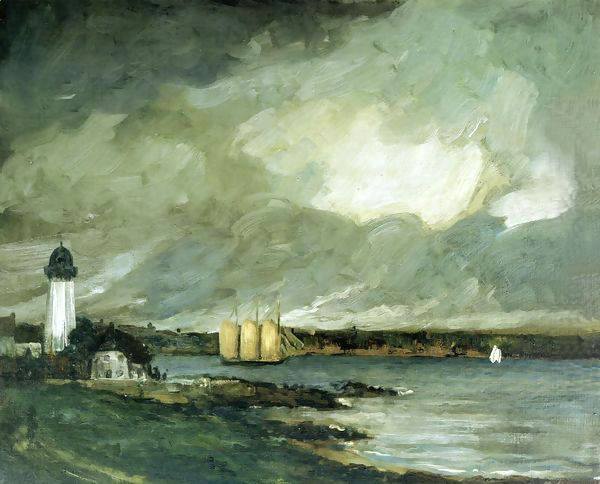 1929 - the lighthouse grounds are divided and the keeper's house sold to a private party. 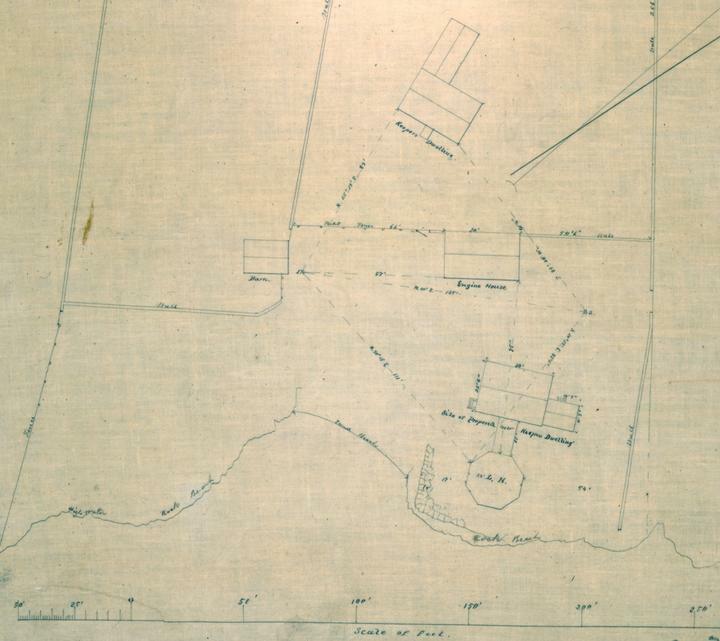 The United States retains ownership of the lighthouse and a strip of land running from the former Engine House (where Daboll tested his fog horns) and Pequot Avenue. 1939 - the U.S. Lighthouse Service merges with the U.S. Coast Guard. While most lighthouses are now automated, the USCG still oversees American lighthouses, including maintaining the lantern at Harbor Light. 1944 - Harbor lighthouse is featured on the cover of the Admiral Billard Academy program. The Admiral Billard Academy borders the lighthouse to the north where the beach is still known as Billard Beach. 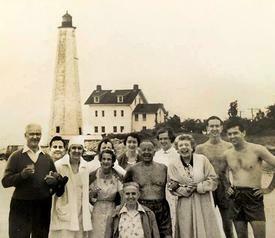 1945 - Anne Collier's family visits at Harbor Light. 1990 - Harbor Light is listed on the National Register, reference #89001470. 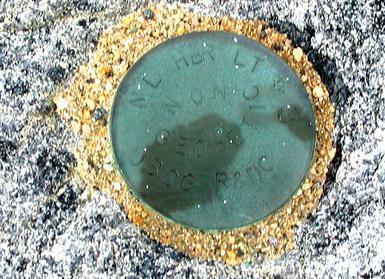 2002 - Harbor Light is put up for adoption by the federal government. NLMS submits its application for ownership. 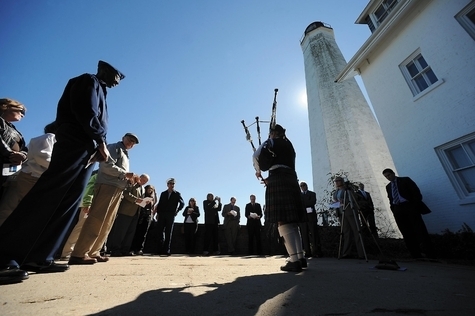 2009 - through the National Historic Lighthouse Preservation Act of 2000, New London Maritime Society becomes owners of New London Harbor Light. .
2010 - The formal conveyance ceremony takes place in October. NLMS starts the Lighthouse Kids education program with the NL Public Schools (2010-2013). NLMS commissions a building conditions survey. Work on a land survey and dock research begins. The US Coast Guard continues to operate the lighthouse as an active aid to navigation. 2011 - the 250th anniversary of Harbor Light. 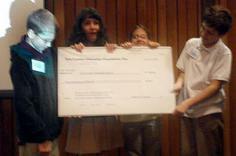 NL SEMI students donate $1,000 to the lighthouse at the 250th birthday party. 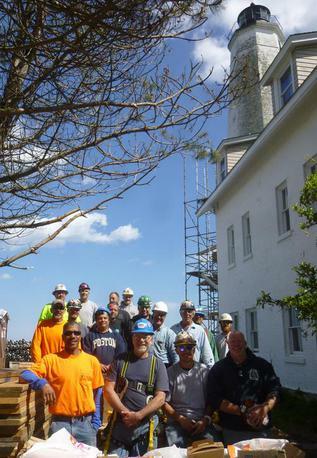 NLMS's first Sentinels on the Sound Lighthouse Weekend is held. 2012 - Super Storm Sandy hits. Harbor Light's walls are damaged and the walkway to the lighthouse is washed out. 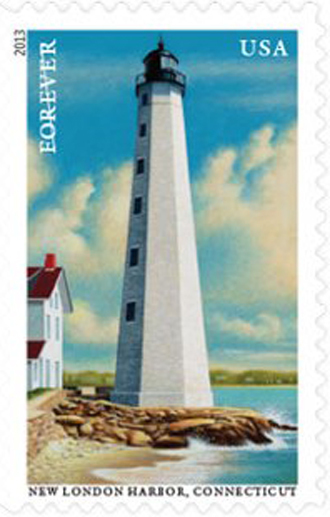 2013 - New London Harbor Light represents Connecticut on the US Postal Service's Lighthouses of New England stamp series. 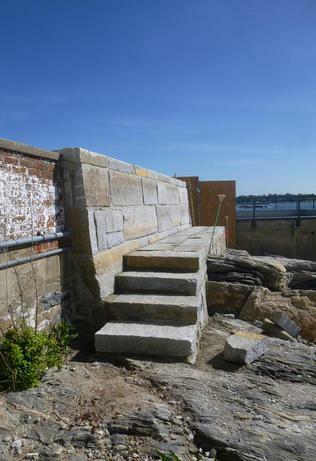 NLMS received FEMA aid to replace the stone walls and walk. NLMS announces a campaign 'I'm Part of Something BIG' to restore/repaint the lighthouse (projects as a 4-year campaign). Within 24 hours of the announcement, the local carpenters and painters unions and Brand Scaffolding donate $500,000+ in in-kind labor and materials. The community donates another $125,000. 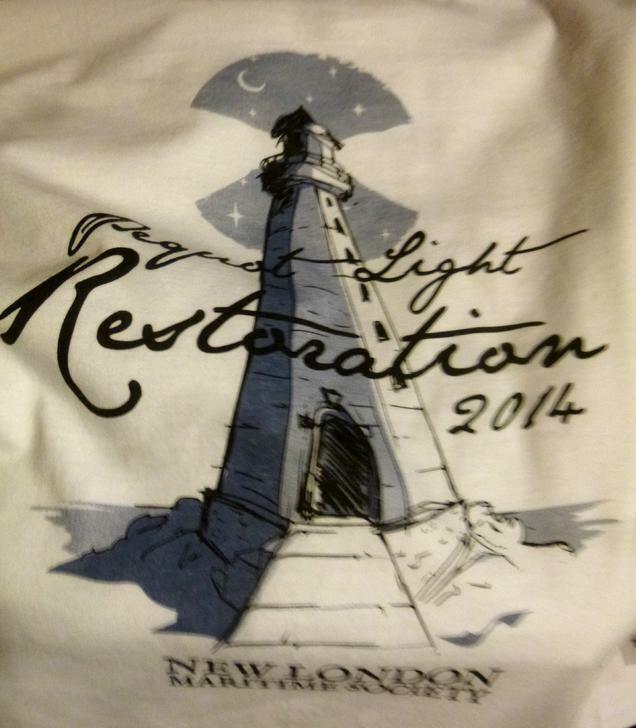 Both the fund-raising and lighthouse restoration are completed within 18 months. 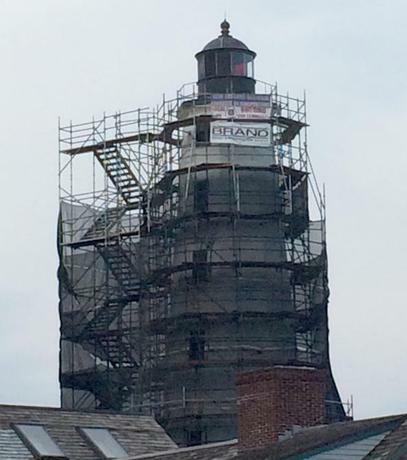 2014 - Harbor Light undergoes its exterior restoration, directed by Loring & Son Masonry. Work is completed in October. (At this point, a series of unfortunate events begins to unfold, with the result that by July 2015 all access to Harbor Light by the public is prevented. 2015 - NLMS receives a state 'Good to Great' grant to replace the historic dock at Harbor Light. 2016 - Harbor Light is featured on the Fish & Wildlife Service duck stamp. NLMS organizes and hosts a first LIS lighthouse symposium. 2017 - NLMS looks forward to working with the City, P&Z, and lighthouse neighbors to reestablish the public's right to visit this beloved historic landmark. more lighthouses than from any other place on earth. 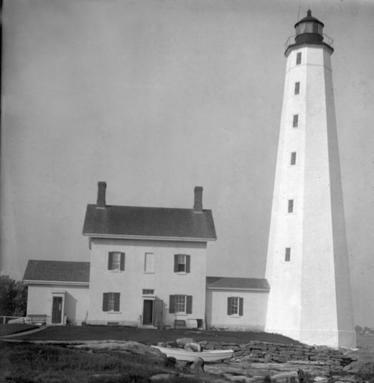 USCG description of the light: The lighthouse is a white, octagonal pyramidal tower, 90 feet above ground and 89 feet above water, the light being visible for 15 miles, and located on the west side of the entrance to New London Harbor. The light is a 6,000-candlepower fourth-order electric light flashing white every 4 seconds, with a red 1,300-candlepower sector from 0 degrees to 41 degrees, covering Sarah Ledge and the shoals to the westward. 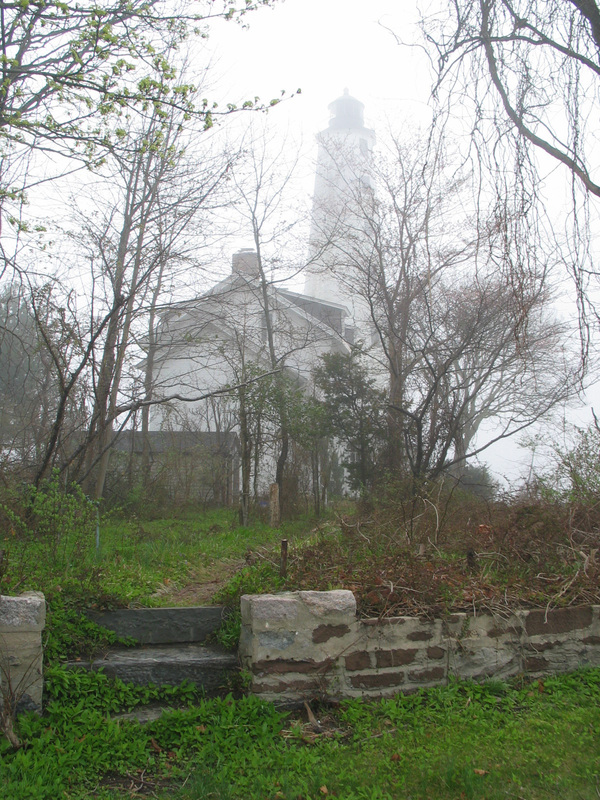 We thank John T Phillips II for his research on the colonial history of the lighthouse, the New London Country Historical Society for the Shaw family information, and the USCG for the details about the 19th century especially about various fog horns. Read about the light in Connecticut Explored. 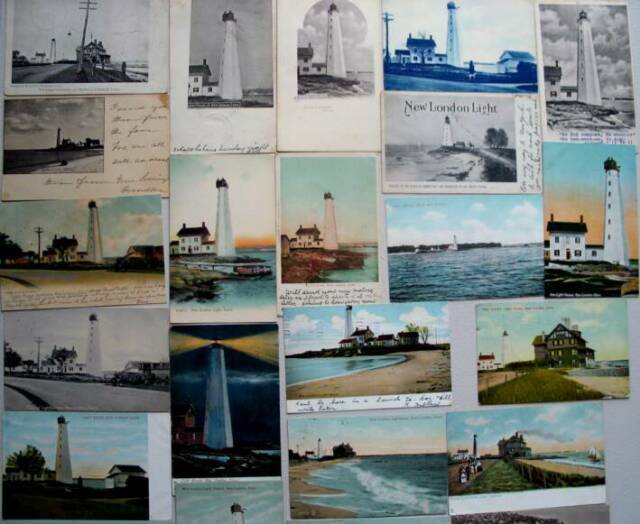 ​Learn more about the history at New England Lighthouses. 25 August, 2010 Dear NLMS, I am enclosing two pictures (see images above left) of my grandfather, Antonio Dimaggio and his brother(half-brother? Francesco) in front of the keeper's house. He was keeper from 1916-1918. See photos from the weekend. The US Coast Guard continues to operate the lighthouse as an active aid to navigation. Meanwhile, New London Harbor Light is open to the public, by appointment, on a strictly limited basis. Please call 860-447-2501 to make inquiries. According to the USCG, for the top of New London Harbor Light, one can see more lighthouses than from any other place on earth. From the top of the lighthouse, it is possible to see at least seven other lighthouses: New London Ledge, Race Rock, Little Gull Island, Plum Island, Little Dumpling, Montauk, and Avery Point. 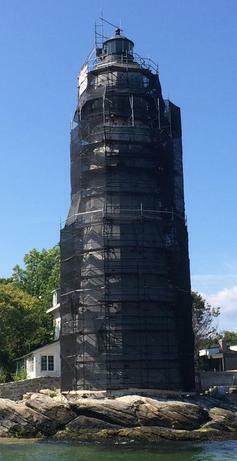 Read more about New London Harbor Light. below: photos from the current restoration; James Diaz-Saavedra's collection of lighthouse postcards, on view at the Custom House in Summer 2009, detail of the chart for Benedict Arnold's 1781 raid on New London, ca. 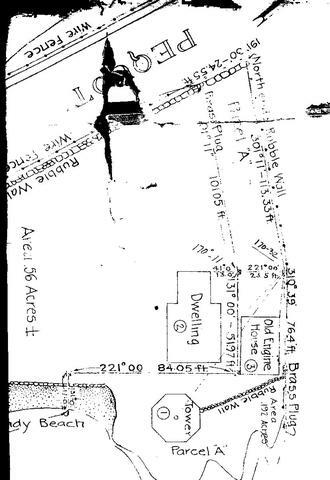 1862 plan of property. Abisha Woodward was a contractor from New London, Connecticut, evidently a man of many talents. 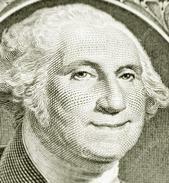 In 1793, he won a federal contract to complete the original Bald Head Island Light at Cape Fear, North Carolina. The state of North Carolina had begun work on this lighthouse before the new federal government assumed control of aids to navigation in 1789, and the tower was well advanced in construction when Woodward arrived on the scene. It's not his fault that the lighthouse was built too close to the shore and had to be torn down in 1813. 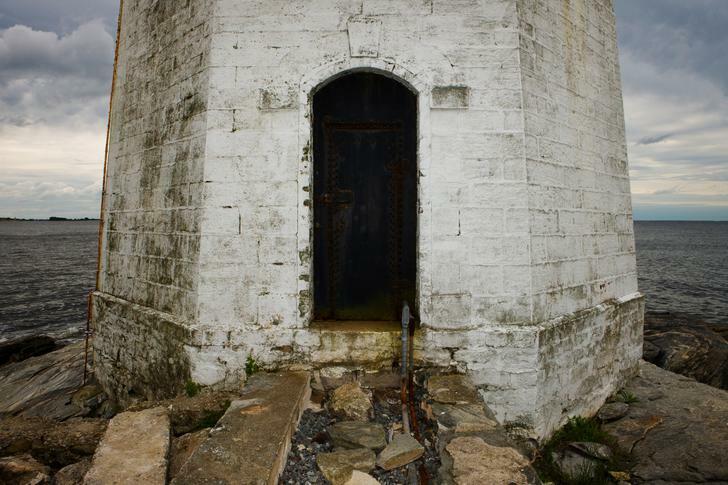 In 1799 a large crack developed in the wooden lighthouse at New London Harbor in Woodward's home town, and he was selected to build a stone replacement. The 89-foot tower Woodward completed in 1801 continues to shine today. The lantern has held a fourth order Fresnel lens since 1857. In many respects it shows a rather strong resemblance to the Cape Henry Light; this resemblance reflects the federal specifications, which described in detail the form and shape of the tower. Like McComb's lighthouses, Woodward's towers show robust design and careful and sturdy workmanship. In 1802, Woodward built a second stone tower, about half the height of the New London lighthouse, at Faulkner's Island off the Connecticut coast. This tower looks very much like the upper half of the New London tower. In March, 2012, the French Musee national de Marine opened a magnificent exhibition: PHARES -- Lighthouses. If you don't plan to be in Paris before the show ends on November 4, visit the Frank L. McGuire Maritime Research Library at the Custom House Maritime Museum to see the exhibition catalog. The US Life Saving Service Heritage Association (USLSSHA) is an organization dedicated to preserving the history of the US Life Saving Service and early US Coast Guard.